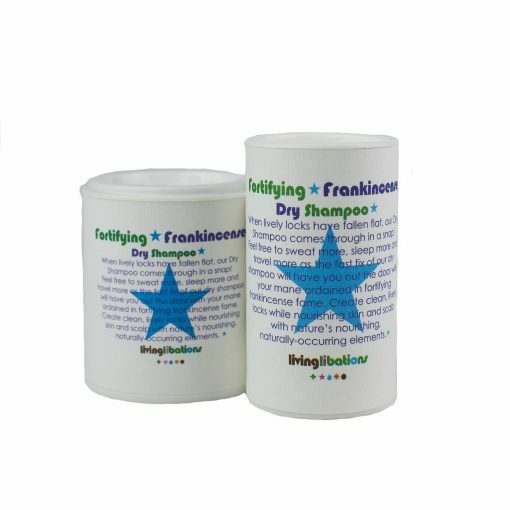 Fortifying Frankincense Dry Shampoo works on all hair colors and types, and it may extend the life of color treated hair (because less shampooing is needed). The convenience of dry cleaning your hair is just the beginning of the botanical blessings of this pure-powder blend. Get clean, lustrous locks while nourishing skin and scalp with nature’s nutritious elements). Many dry shampoos are packed with polymers, parabens, corn, rice and aluminum starches, toxic talc, and flammable isobutene, propane and alcohols that inhibit healthy hair growth, dry the hair, attract residue and block the breathability of the scalp. 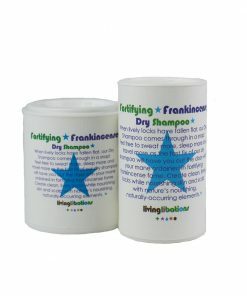 Each ingredient in our Fortifying Frankincense Dry Shampoo naturally optimizes hair health and beauty. 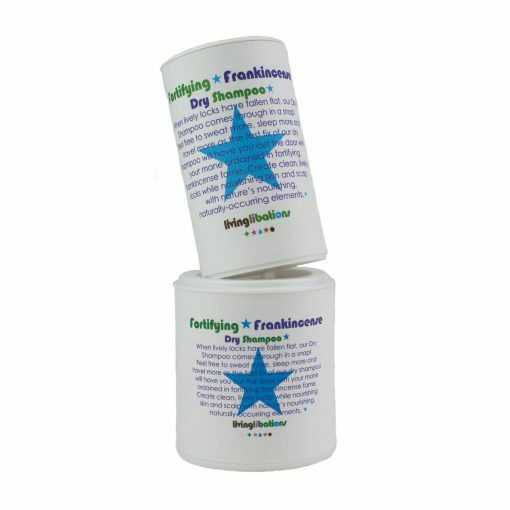 Sacred frankincense resin nourishes and scents the scalp. Balancing baking soda absorbs excess oil. Kaolin clay works like a magnet to draw residue and cleans oils out. Elegant essential oils stimulate strong hair, dissipate dry flakes, and cleanse the hairline. Arrow root powder supports absorption, while our rosemary supercritical concentrated extract naturally provides optimizing plant power. Maranta arundinacea (Arrow Root), Kaolinite White Clay, Boswellia carterii resin (Frankincense), Rosmarinus officinalis CO2 (Rosemary Extract), Sodium Bicarbonate, Probiotics, Boswellia carterii (Frankincense) Citrus bergamia (Bergamot), Thymus officinalis linalool (Sweet Thyme), Vetiveria zizanioides (Vetiver), and Rosmarinus officinalis verbenone (Rosemary Verbenone). Kaolin Clay (Kaolinite, White Clay) – This silica rich clay is an ancient hair and skin preparation that is used to draw out residue and impurities. It is balancing and nourishing for dry skin and helps the scalp maintain optimal oils levels while absorbing excess hair oil. Frankincense (Boswellia carterii) resin – Frankincense is an eternal offering of crystalline-clarity from the sap of the frankincense tree. This rich resin’s opulent aroma balances scalp and hair oil while anointing your crown with volumizing verve. Rosemary (Rosmarinus officinalis, CO2) Extract – Rosemary extract is a natural preservative that also brims with botanical benefits for your mane. Created by special supercritical extraction, rosemary revives limp hair strands, refreshes scalp and volumizes. Frankincense carterii (Boswellia carterii) Essential Oil – Captured from the same African frankincense trees as our frankincense resin, this essential oil is hydro-distilled from the fresh oleo-gum of pure Carterii frankincense. With a warm, balsamic fragrance and an essence of fortitude, the essential oil nourishes skin and scalp. Bergamot (Citrus bergamia) Essential Oil – BBeautiful bergamot is a fresh citrus oil that helps to clean around the hairline. Its cheerful aroma anoints hair as it balances oil. Sweet Thyme (Thyme vulgaris linalool) Essential Oil – This gentle genus of thyme is non-sensitizing and non-irritating for the most sensitive of skin. It is the perfect tool for gentle clarification and energizing hair ovations. Vetiver (Vetiveria zizanioides) Essential Oil – Rich, earthy vetiver oil is grounding and calming for the skin, anointing the roots of each hair strand as the rain anoints the grass. Vetiver is a humectant that helps skin and hair retain moisture. Rosemary Verbenone (Rosmarinus officinalis verbenone) Essential Oil – Gentler on skin and more moisturizing than regular rosemary, Rosemary Verbenone lends its reviving aroma to your tresses as it addresses cleaning your scalp and hair. This little jar of jewels is wonderful. I’ve been using it for about a week now and I love the smell. Also I’ve not had any more flakes on my scalp. I was over washing my hair and not being very nice to my locks. Thank you Nadine for reminding me to take care of myself and offering such lovely ways to go about doing it. I have steered clear of dry shampoos up until now because my scalp is really delicate and prone to dryness. Although my scalp tends to be dry, there are times when I don’t have time to shampoo and the very top has gotten a little oily. This provides an amazing quick fix that is gentle on my scalp *** and really lifts and refreshes limp hair. The ingredients are soothing and the smell is lovely and neutral enough for men to use too. As an added bonus, if you have highlighted blonde hair and don’t rub it in all the way it will also cover darker roots in a pinch. This is the best hair powder I’ve ever used, and I’ve tried quite a few! 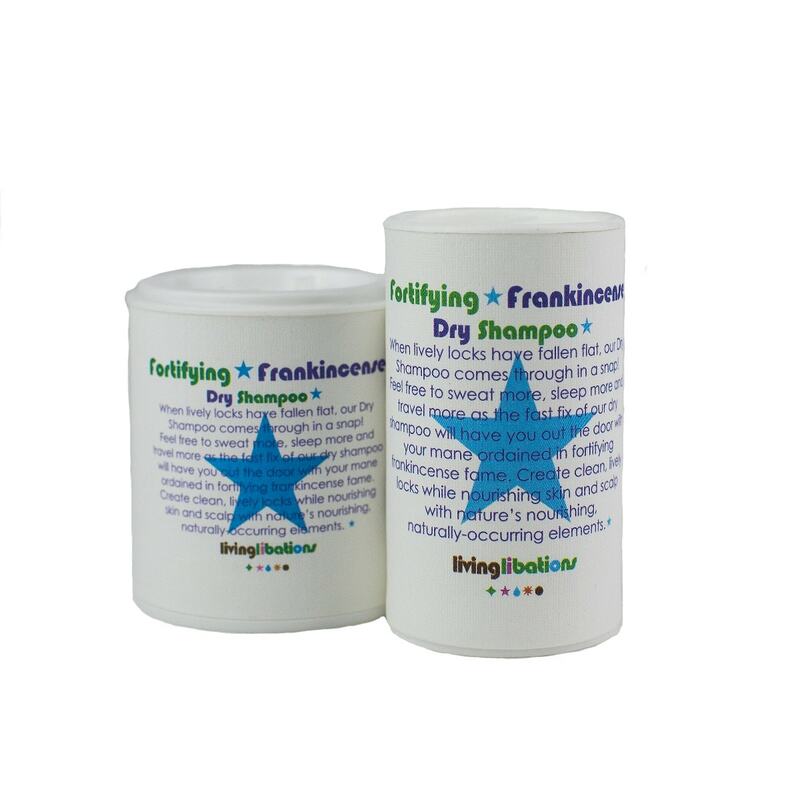 I sprinkle it on my roots before bed, quickly rub it it, and in the morning my hair looks like I have just showered and blow dried it! Honestly, I’ve never been able to go through a day without washing my hair (super greasy otherwise), and with this powder, I’m only washing my hair every other day now. So happy!